Greek Melodic Proggers “SL Theory” Join The Revolution! 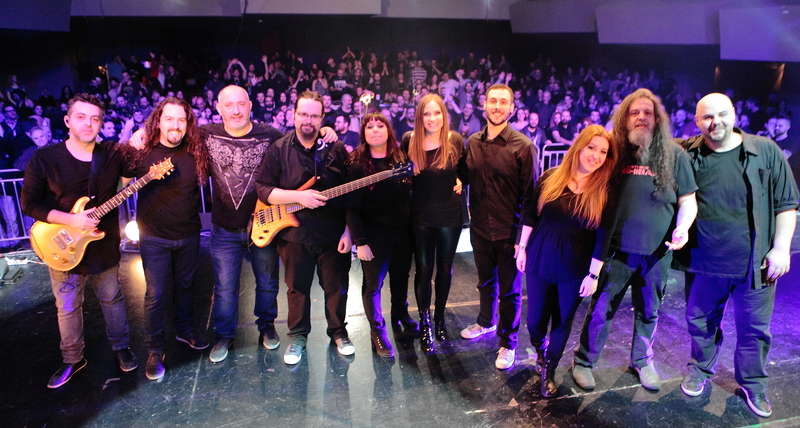 Melodic Revolution Records is thrilled to sign Greek Melodic Prog Rock Band SL Theory. “Progressively Dark (A Concert for Group & String Orchestra)” commemorates SL Theory’s groundbreaking March 3rd, 2017 show in Athens Greece at the Passport Kerameikos Live Stage, a rare collaboration between a rock band with a live string orchestra that was welcomed with rave reviews from media and fans alike. SL Theory is excited to announce their collaboration with Melodic Revolution Records and the release of their new “Progressively Dark (A Concert for Group & String Orchestra)” double CD album and DVD. The band is very happy for becoming a member of the Melodic Revolution Records family, a label that embraces and actively supports Progressive Rock music. The news makes SL Theory eager to work harder and deliver their absolute best!